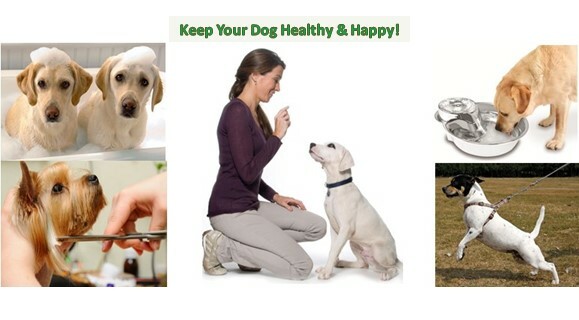 Most dog owners are very aware how your dogs just love to chew on something or anything in your house. Some toys just last a few minutes while some might last a couple of days. 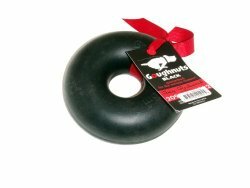 Now, the Goughnuts Indestructible Dog Toy just might be able to stand up to the chewing test. Some dogs are stronger or aggressive chewers than others. Here is a toy that will give him a challenge. The original GoughNuts toy was designed to address the simple but serious issue of safety. The GoughNuts chew toys are designed knowing that safety and fun go hand in hand. Each GoughNuts pet toy has included in it’s design the GoughNuts patented safety indicator where Green means “GoughNuts” and Red means “Stop“. This toy floats in water so you can take it with you to the beach and let him have fun. It is also good for playing games of fetch or toss and watch him chase after it. Your dog can be left alone chewing with this toy and especially use this toy if your puppy is teething. The company guarantees to replace the toy if your dog exposes the “red” on the inside, this is a huge win for you. Let your puppy or adult dog Goughnuts with this awesome toy! This toy is black and the original is green. Below are some of the features of this product. 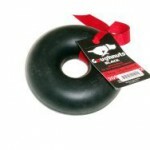 Med / Large Black Ring: 5″ in diameter. Best for strong chewers, 40 lbs and up. Dimensions: 4.8 x 4.8 x 1.8 inches. Note: The price for this product will change from time to time due to any discounts being offered, if any, and the price is subject to change without notice. Below are some of the most frequently asked questions about this toy. Does this toy squeak? Answer: No.Does this toy smell like the KONG toys do? Answer: No. How must does it cost to replace if my dog chews to the red layer? Answer: If your dog chews through to the red inner core, you will have to mail the damaged goughnut back to the company, enclose a check for shipping costs and they will send you another one at no charge. Is there a difference between the black and green color toys? Answer: The black is tougher rubber than the green. To shop for product, click on the image or buy button below. You will be taken to Amazon where you can place the order. Guarantee: If your dog chews through the outside layer to expose the red layer, GoughNuts will replace your toy. The GoughNuts Ring and Stick are a perfect toy for teething puppies. GoughNuts toys have been designed by mechanical and polymer engineers. Do not allow your dog to continue chewing the GoughNut if any red is indicated. Not all dogs may like this toy.